Misdreavus in game: 3,128 Who? Important notice! Pokemon Misdreavus is a fictional character of humans. 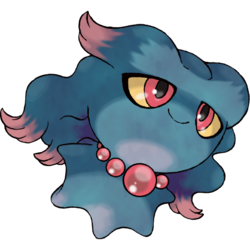 Little Miss is a Misdreavus that first appeared under the ownership of Marina during The Legend of Thunder! special. In Entei at Your Own Risk, Nelson wanted to use his Misdreavus to battle and capture an Entei. A group of wild Misdreavus were causing a ruckus in at the Silver Conference Hotel in Johto Photo Finish. Ash and his friends found that one of them was trapped under a fallen tree and helped it out. Katie battled Ash with a Misdreavus during the Ever Grande Conference in Shocks and Bonds. 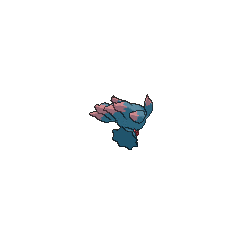 Although Ash's Glalie defeated it, the Screech Pokémon used Destiny Bond, which caused Glalie to faint along with it. A Misdreavus appeared in PK15. Zoey owns a Misdreavus which was first seen in Mounting a Coordinator Assault! competing in the Jubilife Contest. 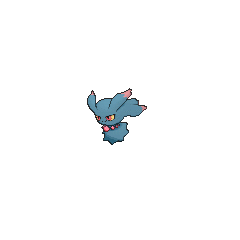 Misdreavus later evolved into Mismagius prior to Coming Full-Festival Circle!. A Misdreavus appeared in Try for the Family Stone! under the ownership of Rhyanna. 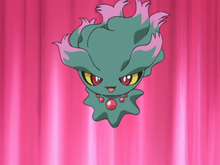 A Misdreavus appeared in Lucario and the Mystery of Mew, taking part in the festival honoring Sir Aaron. Ash and Angie encountered a Misdreavus in the forest during Ghoul Daze!. It scared them off with Screech. A Misdreavus appeared in a flashback in Zoroark: Master of Illusions under the ownership of Grings Kodai. It has since evolved into a Mismagius. 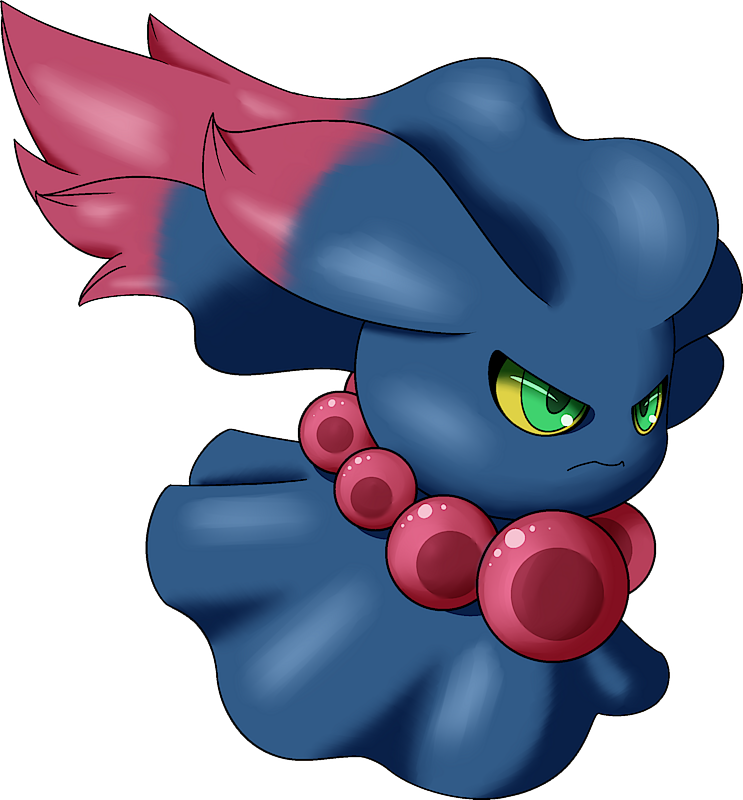 A Misdreavus appeared in Cilan's demonstration in Mystery on a Deserted Island!. A Misdreavus appeared in SM008. Misdreavus appeared in Misdreavus Misgivings as one of Morty's Pokémon, and one of his strongest battlers, able to both exploit its own abilities and those of its opponents using non-damaging attacks like Spite. Having used it in the Gym Leaders' Tournament match (which ended in a draw due to it using Destiny Bond), he still keeps it in his team to this day. 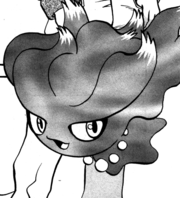 Misdreavus is caught in the fourth chapter of Volume One by Hareta. Misdreavus' nocturnal habits of wailing to frighten people and its similarity in appearance to a disembodied head are shared by various mythological creatures. One of these is the nukekubi, which shares the similarities of nocturnal habits, flying about as a decapitated head, and wailing to increase its victims' fright. Another possible origin is the banshee, a female spirit from Gaelic folklore who was known for its unearthly wailing and screaming. It is also possible that it was based on a Lang Suir, a type of vampire in Malaysian mythology known to appear as a flying decapitated head of a woman.